Few Nevada residents’ lives stay the same as they age, and how they wish to take care of their family after their death could change based on major life events. For example, estate planning done 10 years ago might not accurately reflect how their lives look today. Therefore, it is essential to review an estate plan after a change in the family dynamic to ensure that any necessary changes are made. For example, if an individual gets divorced or married, an existing estate plan could no longer properly express his or her wishes. In fact, many states, including Nevada, automatically revoke any inheritance to a former spouse. However, if an ex-spouse is listed as the beneficiary on a life insurance policy or retirement account, that person could still receive the funds from that account. Therefore, the beneficiary designation would need to be changed along with the individual’s will. The birth of children or grandchildren could also require a change to an estate plan. Conversely, a death in the family — or of some other person receiving an inheritance — will also necessitate a change. All of these events might also trigger the need for a change in the people appointed to carry out an individual’s wishes such as the executor of the will, trustee or agent in a power of attorney. Many people believe that once they have completed their initial estate planning, they are done. 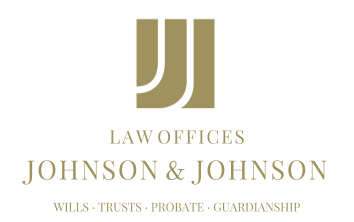 However, if an individual fails to make changes to his or her estate plan when major life events occur, it could cause complications after death. This means that family members could be forced to spend more time and money in court, which will more than likely diminish the assets of the estate. Therefore, reviewing an estate plan and making any necessary changes could help to reduce or eliminate placing any extra burdens on surviving family members.